Opportunities to meet and interact with national and international inter-disciplinary leaders. Opportunities to upgrade your skill and practice through continuing education programmes. Considerable discounts on the registration for Annual Meets and programmes organized by ISOI. Personalized ISOI membership certificate for display at your practice. Who is eligible: Any dentist who holds a BDS degree from any University in India recognized by the Dental Council of India. Who is eligible: Any dentist who holds a BDS degree from any University in India recognized by the Dental Council of India. Applicant must have attended at least one training course in oral implantology in any system or must have some back ground in implant pratice. Validity: One year (i.e. from 1st April to 31st March, irrespective of month of joining). 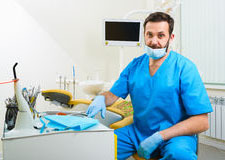 Who is eligible: Dental surgeons (without any training or experience in oral implantology), Dental Laboratory Technicians, Physicians, Surgeons, Research Personnel and Industrial Representatives. Validity: One year (from 1st April to 31st March, irrespective of month of joining). Who is eligible: Undergraduate and post-graduate Dental Students, Residents, Dental Mechanics Students and Dental Hygienist Students. Validity: One academic year (i.e. July to June). Can be renewed every year as long as the individual is a student or resident. Documents required: Certificate from college stating that you are a student. * All cases for membership will be reviewed at the Executive Council Meeting of ISOI. The applicants will be informed a fortnight thereafter.